The focus for the day is “making your own luck” by building skills that help cultivate and capitalise on your career opportunities and challenges – with special emphasis on developing negotiating skills for use ‘from the boardroom to the cribroom’. We have two exciting guest speakers – an international expert in negotiation: Margaret A. Neale and the other is a well-known face from the ABC: Jane Caro. There will be inspiring industry stories explaining not only “how they made their own luck” but how you can use their examples; along with a humorous and motivational panel, led by WIMWA favourite Dr Susan Maushart; not to mention plenty of opportunities to put last year’s networking skills to good use! 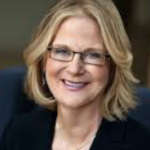 We are very excited to have the opportunity to bring international negotiation expert Professor Margaret Neale to Perth for the 2013 Seminar. Margaret Neale, Professor of Management at the Stanford Graduate School of Business and Co-director of the Executive Program for Women. The Executive Program for Women Leaders. When viewed as problem solving, negotiation moves from being a win-lose game to one of mutual benefit. Neale advocates inspiring new ways – small and large – of practicing negotiating in everyday interactions and improving your chances of getting more of what you want. 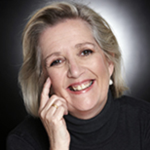 Jane Caro has a low boredom threshold and so wears many hats; including author, novelist, lecturer, mentor, social commentator, columnist, workshop facilitator, speaker, broadcaster and award winning advertising writer. The common thread running through her career is a delight in words and a talent for using them to connect with other people. She is a weekly regular on Channel 7 Weekend Sunrise and Mornings on Channel 9. She has appeared frequently on ABC’s Q&A, Sunrise, The Project, The Drum and Playbox. She is also a regular panelist on the ABC’s top-rating show on advertising “The Gruen Transfer.” She is a regular on radio and has filled in as host for RN’s iconic “Life Matters”. We’d like to thank the sponsors below for supporting the 2013 Seminar. 8.30AM to 7:00PM - Registration 8.30am for 9.00am start. 5pm finish followed by networking drinks between 5pm and 7pm.